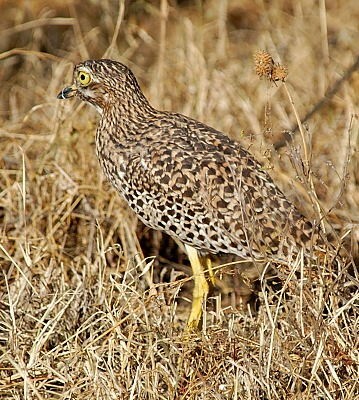 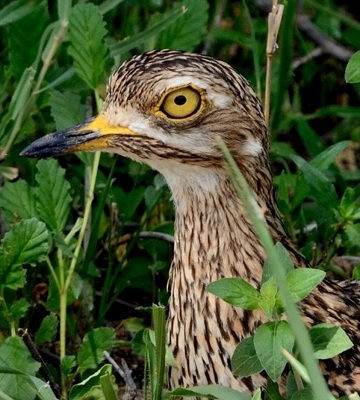 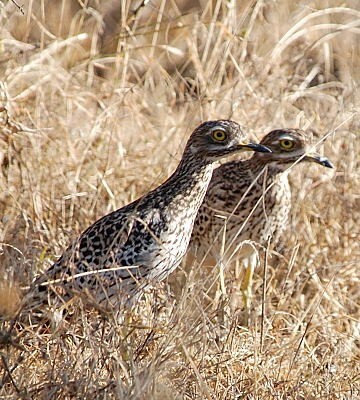 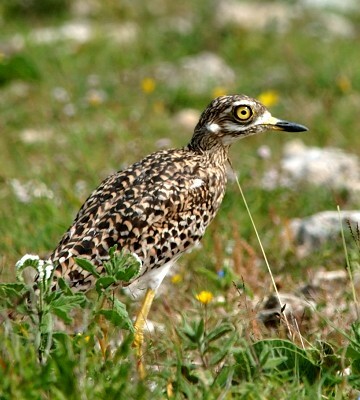 The main features that distinguish the spotted thick-knee from other east African thick-knees are the black spots on the mantle, back and wings and the absence of wing bars. 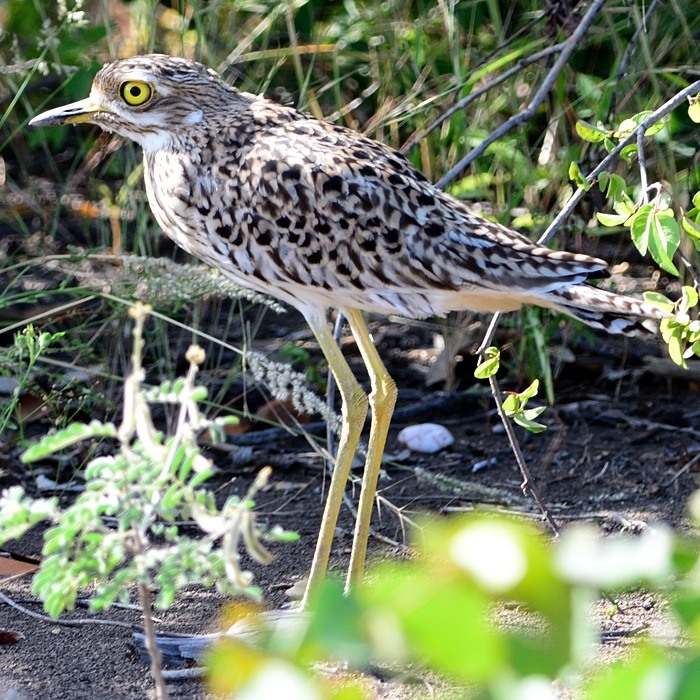 The top photo was taken at Speke's Bay (3-13), courtesy of Paul Oliver; second row, also Speke's Bay (7-17), courtesy of Per Holmen. 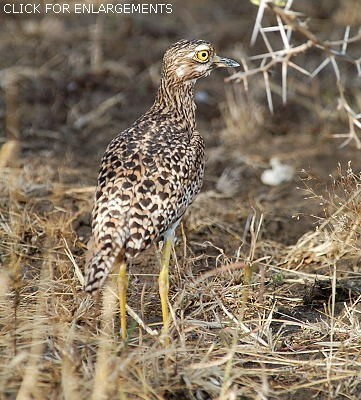 The other photos were taken in Osukunwa, Olasiti, Hwange (Zimbabwe) and Tarangire. 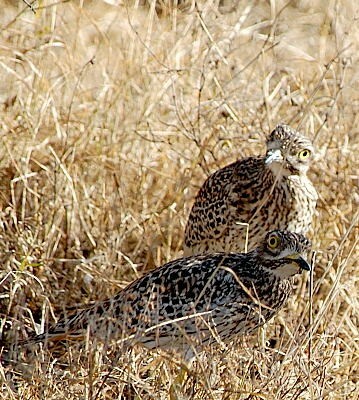 Click the photo above to see enlargements which include a nest, fledges and a leucistic bird.